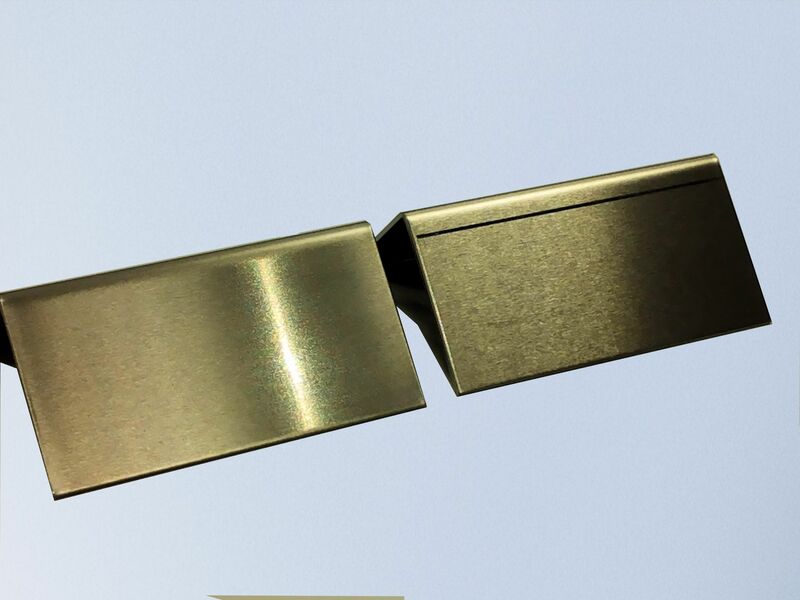 Bending pre-painted sheet metal parts or parts that are made of aluminum, stainless steel, brass, copper and other materials that are not going to be painted is likely to cause die marks. And the odds are good that customers will not accept them. Die marking is an age-old problem that historically had fairly limited solutions, and even those often compromised press brake productivity. The part on the left was formed with a standard die and a No-Mar Cloth, while the part on the right was formed with a standard die and no polyurethane sheeting or No-Mar Cloth. An early solution to alleviate this problem was to use die holders made from steel or aluminum that utilized a polyurethane pad, which served as the die. This method normally worked well – and still does – in eliminating die marks, but it comes with several inherent problems. They include the deterioration of the polyurethane pad during use, which creates the need for frequent angle adjustments. In addition, the pad tends to collect grit or debris that might find its way onto the sheet metal. As the residue becomes embedded in the pad, it causes die marking. Read the whole article that is published in the 'Fabshop Magazine Direct'.